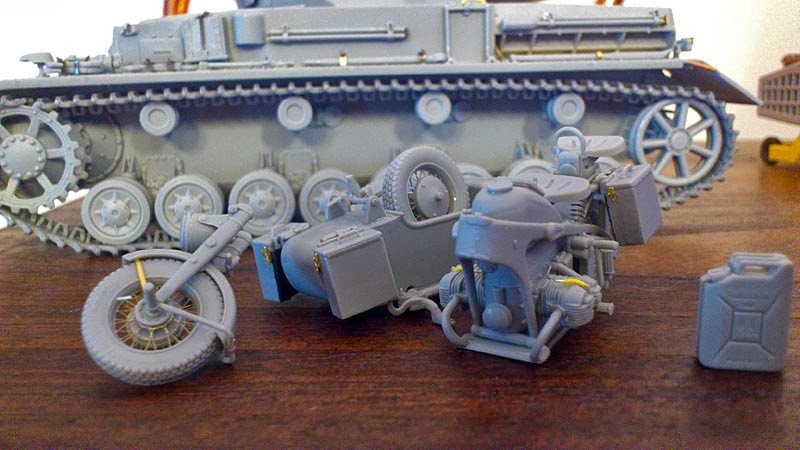 During these holidays, I have been working in this Lion Roar / Great Wall Hobby 1/35 Zundapp KS750 with sidecar, a little gem. It is nearly complete, but I still I have to figure out the wiring for the handlebars. En estas vacaciones le he dado un buen empujón a la Zundapp KS750 de Lion Roar / Great Wall Hobby a 1/35, un joyita. Queda poco, pero aun tengo que investigar acerca del cableado del manillar.